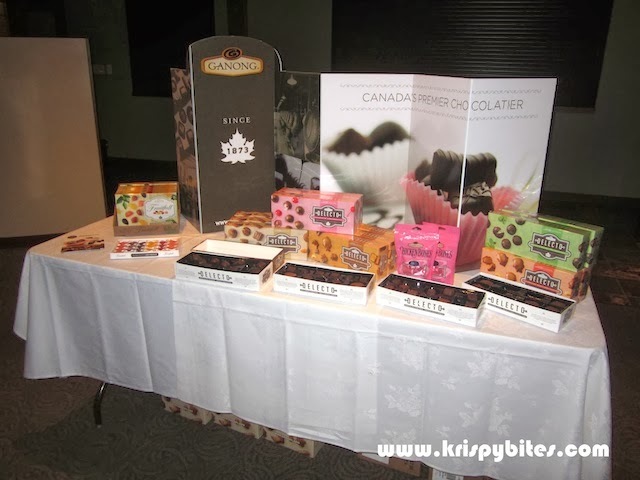 Ganong Bros., Canada's oldest family-owned candy company, invited me to their 140th anniversary event at Characters restaurant on December 12, 2013. 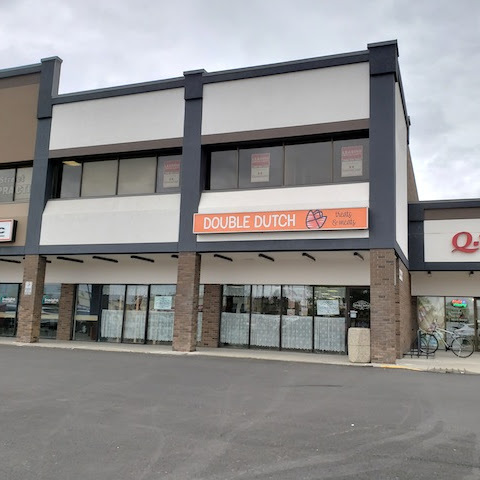 When I first received the invitation, I was surprised that I had never heard of Ganong before despite its 140-year history. I was intrigued to find out more. 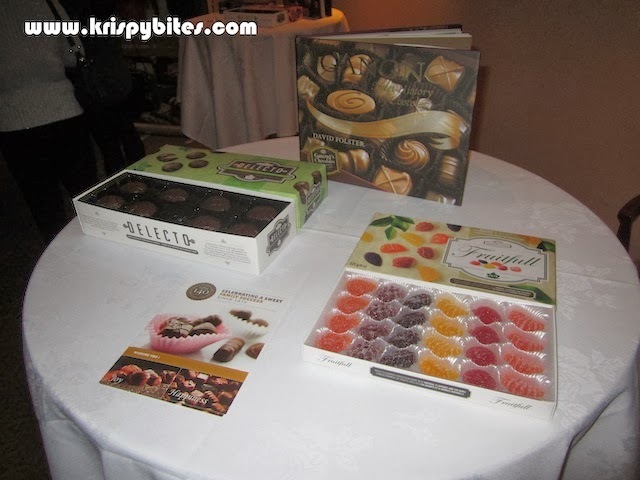 On the night of the event, we walked into a private room on the lower floor of Characters to find a neatly set up display of chocolates and candies. 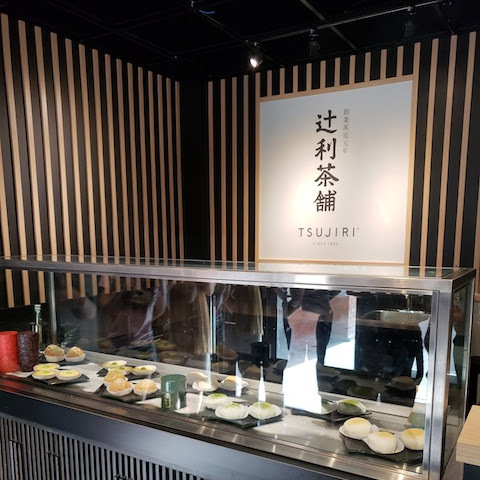 The event was quite small, and there were plenty of samples everywhere. The Ganong crew were all extremely friendly and hospitable. 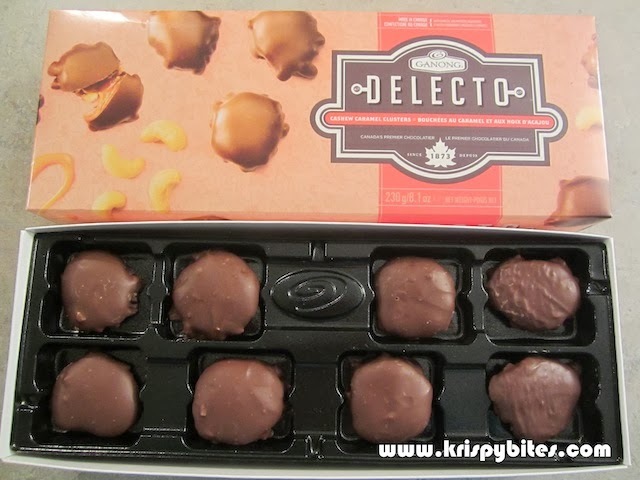 I heard stories about a chocolate factory right in the centre of a small town called St. Stephen in New Brunswick. It sounded really magical like something straight out of a Roald Dahl book. They told me the whole town is filled with the scent of chocolate on days when the factory is open, and they even invited me to visit if I ever go there. Ganong's signature candy is the Chicken Bone. The name is rather strange, but accurately describes the construction of the candy. 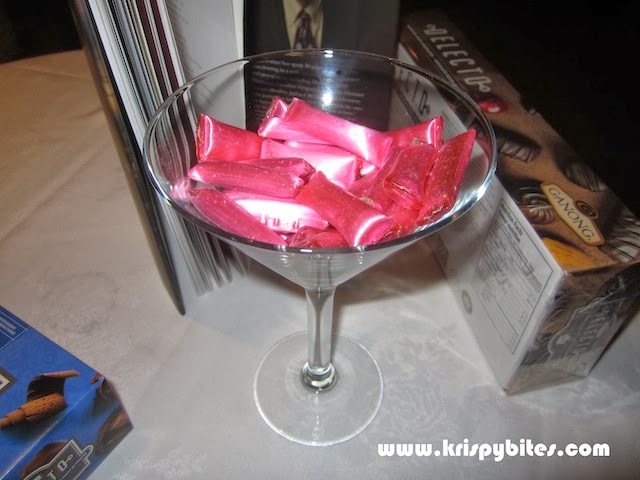 A filling of dark chocolate acts as the bone marrow inside a bright pink cinnamon candy with a spicy kick. The Chicken Bone is still made by hand at the Ganong factory, just like it has been since 1885. I wasn't too excited about trying it because my memory of cinnamon candy is the red stuff people hand out on Valentine's Day. While I still didn't enjoy the Chicken Bone because I dislike cinnamon flavour (personal preference), it wasn't nearly as bad as I had expected. The candy was a little bit sticky, but not overly so, and it gave a nice crunch. Also it made the best rim for the debut of the Chicken Bone Martini. 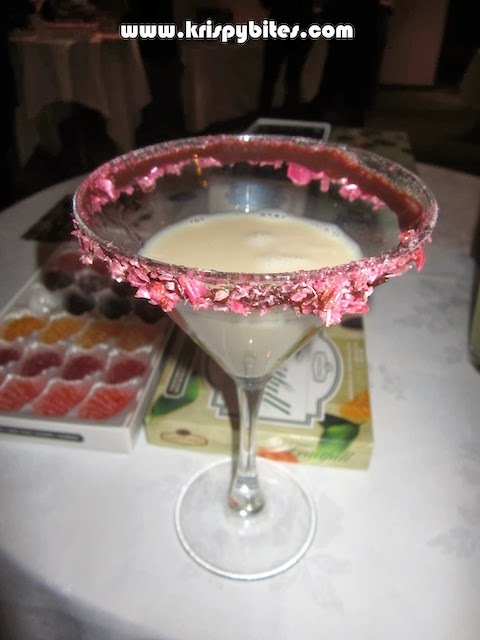 Even though I didn't enjoy the candy by itself, I loved the crushed bits and chocolate on the rim of the milky drink. 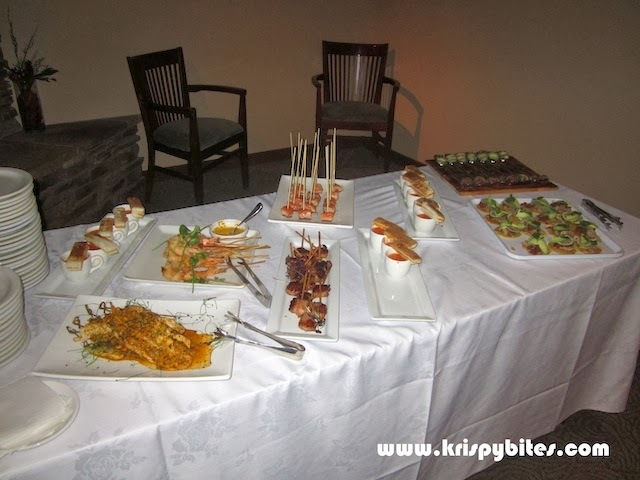 Characters set up some hors d'oeuvres and the food was delicious as well. 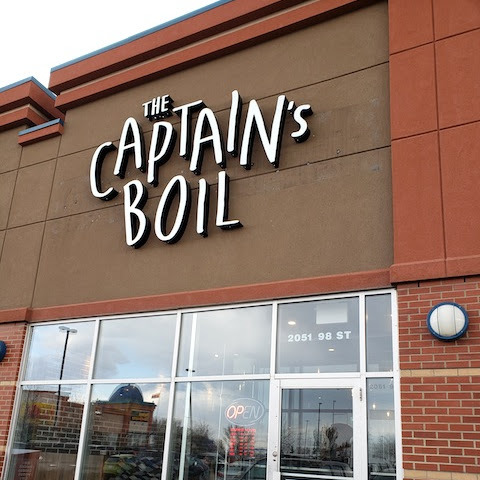 I made a mental note to come back for dinner sometime. Ganong was very generous with their goodie bags. 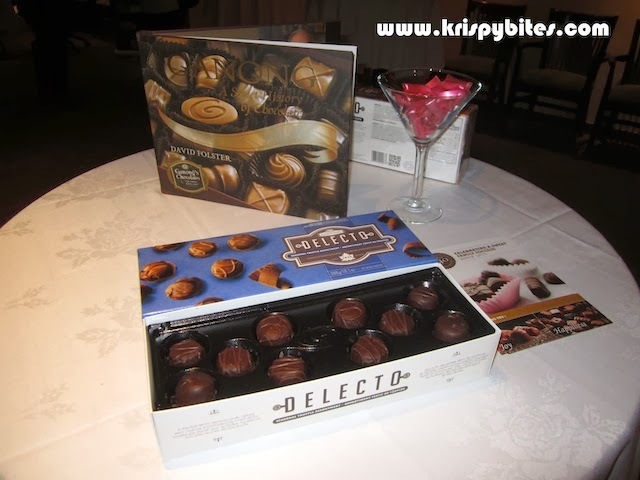 I received two full bags of assorted boxed chocolates, candies, and a picture book with a history of their company. The contents of one bag is shown in the picture below. 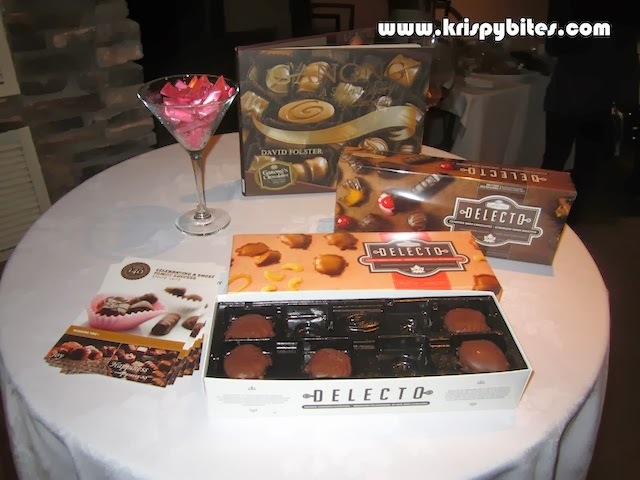 I invited my coworker to attend this event with me, and she could not stop raving about Ganong's Delecto Cashew Caramel Clusters. These are like Turtles, except much tastier and with cashews instead of pecans. The caramel layer is thin with a rich flavour and a smooth and gooey consistency. It's not thick and chewy, and does not stick to your teeth. My coworker has become a fan, and she has been buying these cashew clusters regularly since the event. For the record, I don't enjoy mint chocolates. 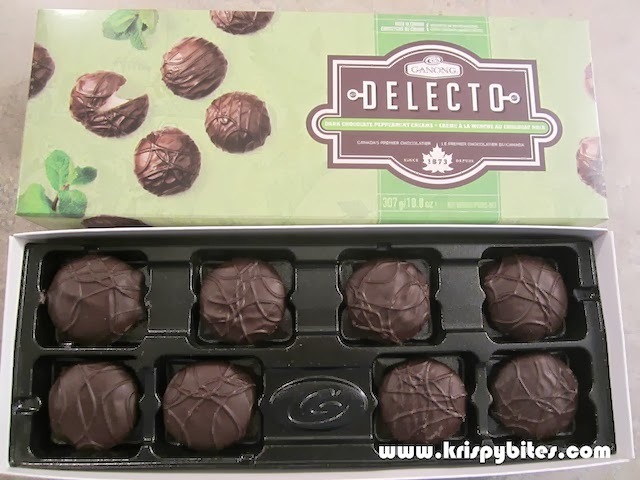 But since I have to write about it, I tried a piece of Ganong's Delecto Dark Chocolate Peppermint Cream. The chocolate patty is actually quite thick, even though that is not apparent in the picture. The taste was much better than expected. I have had mint chocolates where the mint cream tasted like toothpaste, but this mint cream is different. 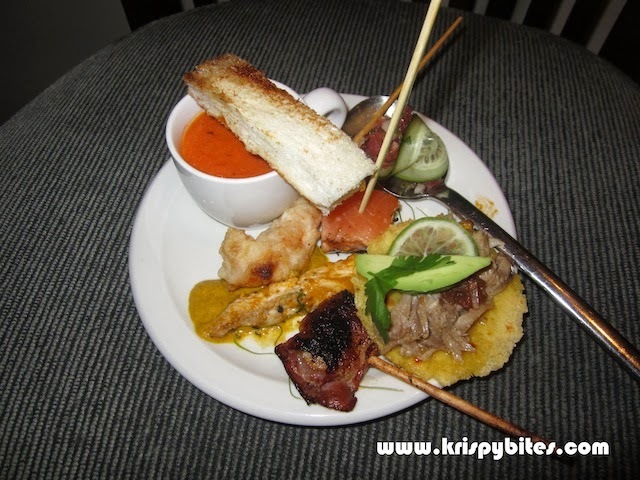 It is light and refreshing, not at all overpowering, and the flavour is very natural. My coworker's boyfriend likes mint, and according to her, he really enjoyed these. 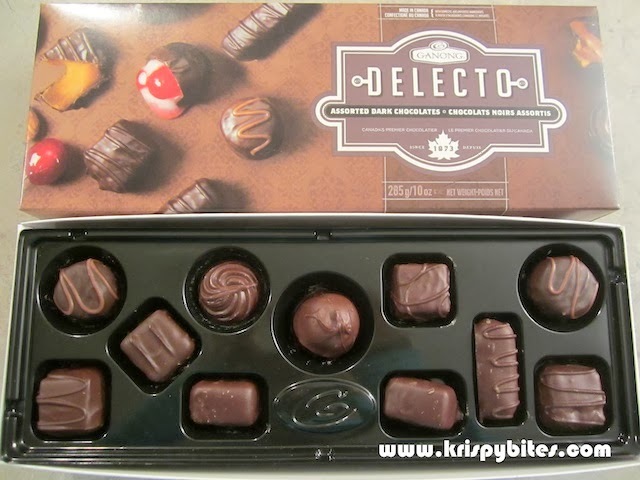 I also tried other products from the Delecto line including Seasonal Truffle Assortment, Assorted Milk Chocolates, and Assorted Dark Chocolates. 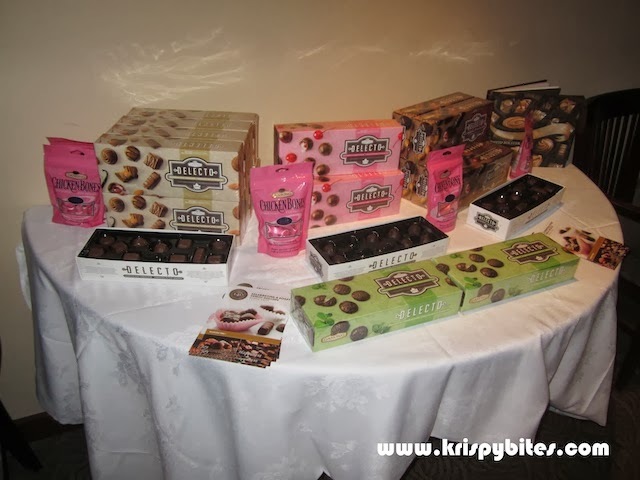 They were very good quality chocolates — smooth and aromatic with creamy centres. These are definitely more generic and not as unique as the ones I mentioned above. The Fruitfull Jellies are my personal favourite. 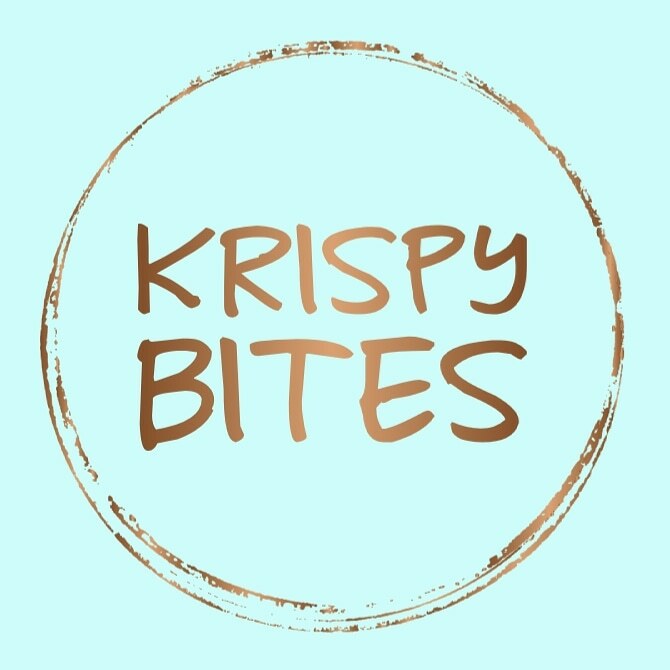 In fact, I am craving some right now. 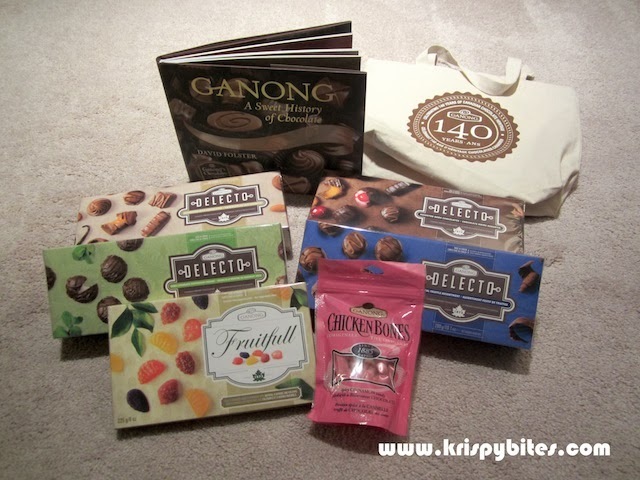 I hope Ganong will consider selling each flavour separately, then I can buy a box of just the blueberry ones! Interesting. 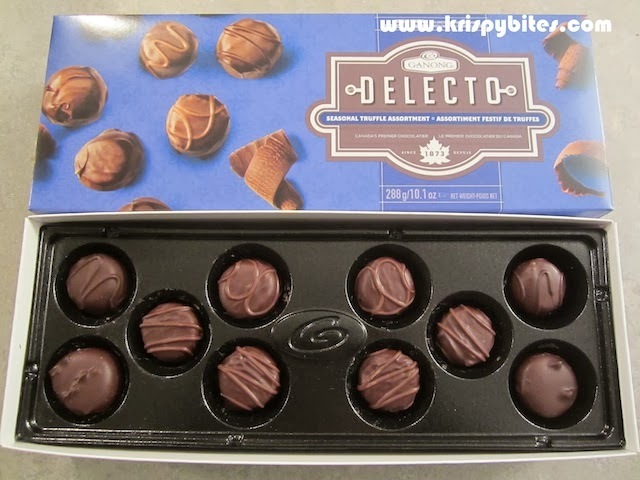 I think I tried their chocolates before (bought from London Drugs), but if memory serves, I bought the more generic chocolates instead of the unique ones. I don't recall being too fond of them, but I will put the unique products you mentioned on my to try list! The generic chocolates are a bit too sweet for my taste. 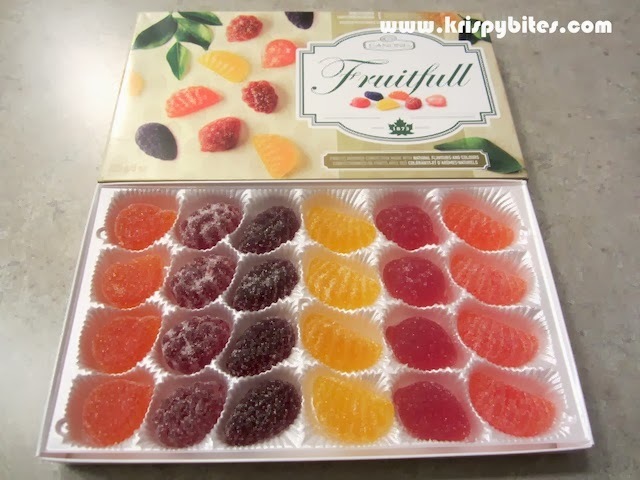 You have to try the Fruitfull Jellies though; they are the best.